Work has begun on our Coalition home. The empty lot with a hole in the ground has been transformed. A new house is rising. A wonderful team of folks showed up for the first two days. 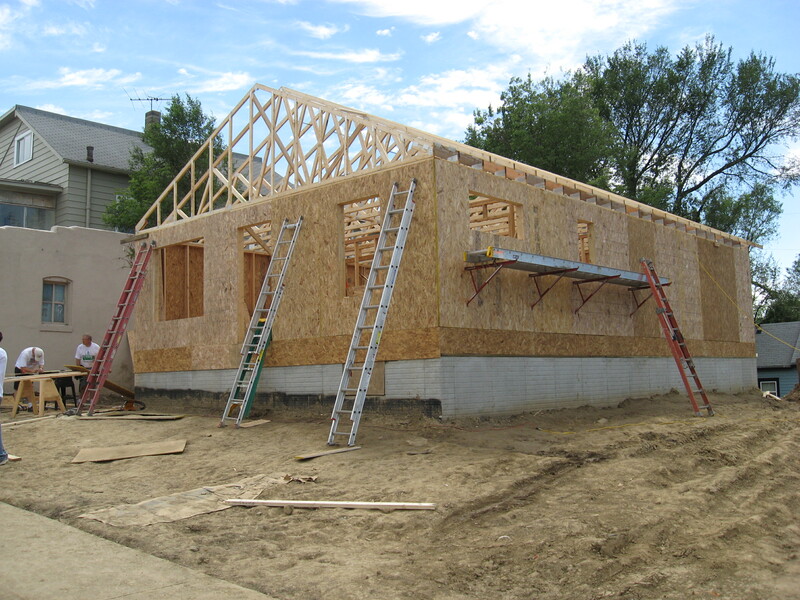 As you can see, the walls and the trusses are in place. This next weekend the roof will be put on and soon it will look like a real home. Now is the time to make plans to come on out and help. The rallying cry can be “all hands on deck.” Our new homeowner was also on site and smiling from ear to ear. Check out the rest of the pictures in our picture gallery on Flickr. Contact Jim Carlson (see previous post for contact info) for further details!